The Keyhole: Peeking at 21st Century Brands: Can Brand Trump Become President Trump? In 1968, Joe McGinniss wrote The Selling of the President, analyzing the marketing of Richard M. Nixon. It was the first-of-its-kind intro to a concept of stage-managed presidential branding and a primer for taking a human politician and turning him into a brand – the creation of the “new Nixon.” Now, 47 years later, the American electorate faces a new paradigm shift – turning a human brand into a candidate, this time the creation of candidate Trump. No matter how you feel about Mr. Trump personally, his political positions, his standings in the polls, his grandiloquence, or even his hairstyle, one thing is undeniable – Donald Trump is a human brand extraordinaire! We’re talking real “Human Brand,” here folks. Not a celebrity, but an actual human being who embodies100% of the values of the company he represents. “Human Brand” is a designation representing the highest level of imbued meaning, values, and differentiation any brand can be. 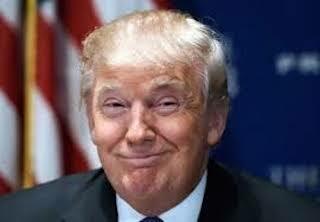 And despite how many marketers prattle on about how everything and everyone can be a “brand,” Mr. Trump is one of a very, very, very small club of Human Brands, with values and qualities that allow him to successfully expand into multiple and diverse categories, well beyond foundation products like real estate or TV shows. Here’s just a few: catering, sales, leasing, hospitality, golf, home furnishings, ice cream, vodka, wine, men’s shirts, ties, jewelry, and fragrances, books, bottled water, and the list goes on. When it comes to bringing added-value to a product or service – a critical obligation of 21st century brands and the ultimate acid test of Human Brands – adding the Trump name increases the perceived value of a product or service anywhere from 20% to 37%, enviable by any category standards. In terms of emotional engagement, adding the Trump brand causes the products or services to be seen as better meeting consumer expectations for the values that drive positive behavior in a particular category. So here’s the question: Can brand Trump become President Trump? Sure, we’ve seen the polls, but to answer that particular question we went beyond the polls and looked at the category engagement drivers for the electorate’s Ideal President. Action: Does the candidate have a plan or the capability for solving the problems facing the country? Perception: Does the candidate have an understanding of the problems facing the county? Resolve: Does the candidate have the doggedness and determination to make things happen? Sound familiar? Keep in mind that during a Presidential campaign the air is full of speeches – and vice versa – so if you were to sift through all the current political rhetoric, the sound bites and tweets, underplay a bit of the bombast, and overlook some of the more unpleasant and belligerent statements, who does that sound like to you? On the basis of those assessments – an overall 84% – the answer to the original question would be “yes.” It seems eminently possible to migrate this particular Human Brand to a Presidential Brand. For those of you who had other parties and candidates in mind, remember that those results represent only one variable, absent a Democratic challenger, 411 days before Election Day. A lot can happen in that time. Just ask a candidate like Hillary Clinton. Or a brand like Volkswagen!